Fall is a great time to aerate your lawn. Aeration loosens the soil of compaction and supplies important oxygen to the soil and roots. It can also help decrease the thatch layer of your lawn. In mid-October Fertilome Winterizer Fertilizer can be applied. This application should be watered into the soil profile. As the time approaches to mow your lawn for the last time, reduce your mowing height throughout the fall. The final mow should be at the lowest setting. Short lawn heights will allow proper air movement and prevent matting of the grass. Remove leaves from your lawn to prevent it from becoming smothered. Remove all debris from your garden. Leaving it untouched will increase your chances of diseases and insects attacking next year’s plants. Amend your soil with cotton bur or a composted manure mix. Your soil should have adequate organic matter incorporated throughout. Till the matter into the top 6-10 inches of topsoil. As we experience killing frosts (28 degrees and lower) perennials will start to go into dormancy, leaving plants brown. As your plants turn brown, you’ll be able to cut down many of them leaving just a little stem. You can also leave them until spring, if you decide, to provide insulation during the winter. Grasses should always be left until spring to trim down, the tall foliage will add to your winter landscape. If you do cut your perennials back for the winter make sure to spread a mulch layer (shredded decomposed wood) for extra insulation over the root zone. Spread Fertilome Winterizer Fertilizer in your perennial beds to give plants a boost in the spring. It is also time to plant fall bulbs. Fall bulbs include tulips, daffodils, allium, crocus and hyacinth (to name a few). Most bulbs (except the crocus) should be planted at least 6” deep from the tip of the bulb. When digging your holes place a mixture of bone meal or Dutch bulb food and sand at the bottom of the hole. The sand will help drain water away from the bulb and the bone meal will provide phosphorus which is important for root and bulb development. Bulbs should not be planted until after the first hard freeze and when temps are consistently in the low 60’s or lower. Most shrubs will benefit from trimming, however there are some that should not be trimmed until spring. For the most part shrubs that flower in the summer can be trimmed, taking off no more than a third of the total plant. It is best to trim out the oldest branches which will often decrease your height. Shrubs that were just planted should not be trimmed for the first year or two. If it has been several years since they were trimmed it may be time for a rejuvenation trim. Here you will cut down leaving as little as a foot or less of the plant to allow it to grow back. Hydrangeas may not be able to be trimmed until spring, Arborescens and Macrophylla can be trimmed in the fall leaving about 6-10 inches behind, and Paniculata Hydrangeas should be left until spring. 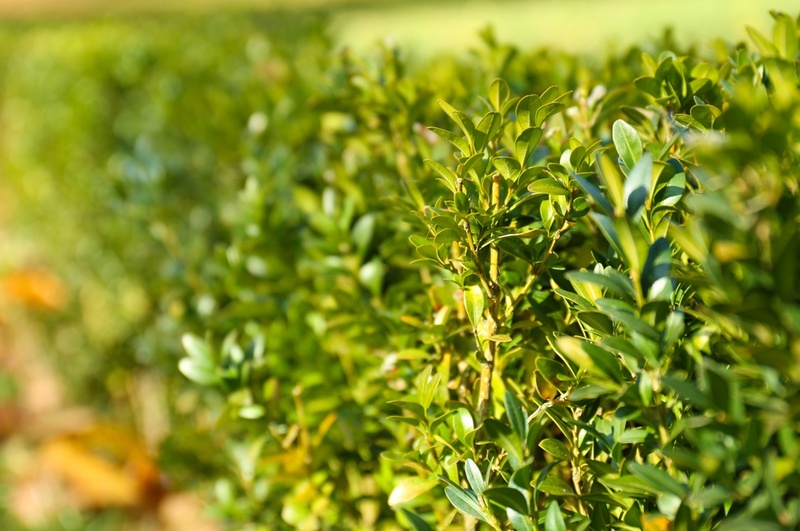 If you are planning on trimming your shrubs and you have never done so before call or stop in to learn the proper techniques on your particular shrubs (pictures of the shrubs are helpful if you’re not sure which shrubs you have). When you apply Fertilome Winterizer Fertilizer to your lawn, spread a little around your shrubs as well for a quick boost in the spring. Sparingly trim trees. Many can be trimmed at any time during the late summer through fall, however if certain trees are trimmed too late water sprouts can form the next season. Pruning is an art, so treat your trees right and they will be beautiful for years to come. Call or stop in if you have questions regarding when to trim the particular trees in your yard.